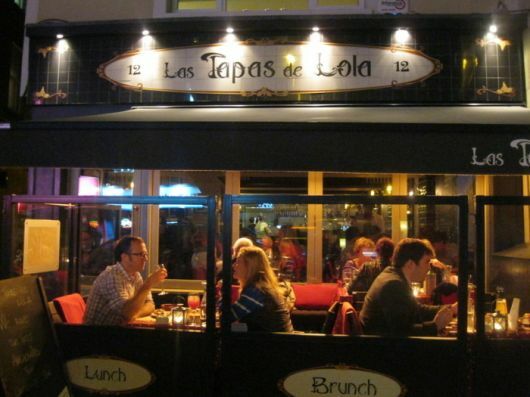 Opened in 2012 on bustling Wexford Street, this cheerful little tapas bar whisks you away to Spain with its décor and atmosphere. The extensive menu caters well for carnivores and vegetarians alike. The meal is started off with a taster of the house drink and a sample of one of their tapas, which I think is a nice way to welcome new guests. The mainly Spanish staff are friendly and welcoming, and your bill will usually amount to less than a Ryanair return to Girona. Several daily specials are chalked up on the blackboard along with a selection of wines by the glass. Their Tortilla of the day is always worth trying even if, like me, you’re not a big fan of eggs. It is absolutely fresh and light as a feather. The length of the menu means some of the dishes are better than others, but the I’ve found meat selection is usually excellent, particularly any dish with morcilla. Five dishes between two with bread is plenty for even the biggest appetites, and more than can fit on the table.